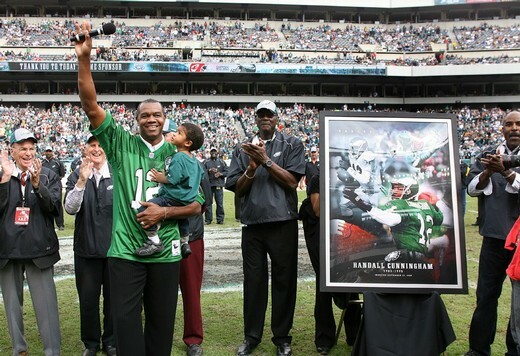 Randall Cunningham with son Christian in Sept. 2009 while being inducted into the Philadelphia Eagles’ honor roll. 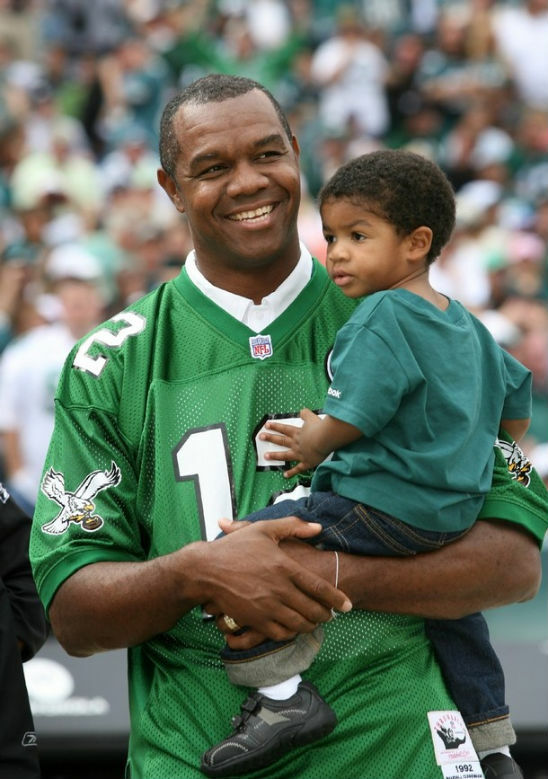 *Randall Cunningham’s 2-year-old son Christian has died after apparently drowning in a backyard hot tub, according to authorities. Las Vegas police Lt. Dennis Flynn says it appeared to have been an accident. He says a woman at the house with several other children found the boy at about 4:30 p.m. Tuesday and began trying to resuscitate him, reports the Associated Press. Christian was pronounced dead at St. Rose Dominican Hospital Siena campus in Henderson. Cunningham, 47, starred at UNLV and played for 16 years in the NFL, mostly for the Philadelphia Eagles. He is now an ordained minister and pastor of a church in Las Vegas. Cunningham was not at home when Christian was found. Previous Article'True Blood' Actor Nelsan Ellis Answers the Gay Question ... or Does He? So tragic. Prayers of comfort for the family. R.I.P.little guy. Very sad. Cute lil fella…feel like kissing him in that photo. Can’t imagine what the family is going through. I have relatives with an in-ground pool and I used to be FURIOUS when I went by there and there were young kids out there and hear “Oh, I just ran in the house for a minute to do X, Y or Z” People don’t realize that water ain’t no joke and kids should NEVER be left unattended, even for “just a minute”. My condolences to Randall and his family. You can’t leave small children alone around tubs and pools for even seconds. A little girl here in the DC area drowned in a pool full of people with lifeguards on duty and her family there. Things just happen. It sounds cliched/pat to say it but some things are just God’s will. His time here was short. I totally know it’s easy for me to say that on the outside looking in but as a minister, Cunningham will come to that conclusion at some point. Some babies only live for 2 minutes but their lives were worthwhile and touched someone. This little boy’s mission here is done and he’s gone home.